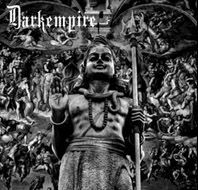 Darkempire was formed in 1995. Drown in the Abyss, Motherfuckers, Drown! New Demon-stration of upcoming evil. Opening track from the album "Satan Cometh". Chi-Xi-Stigma - all instruments and vocals. This song is a curse of the world. Written in enochian language, the tounge of angels. Second track from the album "Satan Cometh". This song is about choices and especially wrong choices. Third track from "Vexilla Regis Prodeunt Inferi" -Split CD with Dimentum. Recorded in november 1998 at Fantom studio.